As summer heats up, so do the barbecue grills across the country. That’s a blessing and a curse. While grilling is fun and food cooked over flame is delicious, if you’re dedicated to a nutrition regimen that requires adhering to prescribed ratios of macronutrients and calories, then you run the risk of knocking your muscle-building plans off-track. Don’t worry: Grilling can provide a bounty of high-protein foods with limited unhealthy fats and fattening carbs. You just need to follow a few grilling rules, and choose the right meats. If you’ve ever seen Golden Era legend Franco Columbu wandering in the back of a grocery store to monitor the butcher cutting his selection of steak, then you know how serious these guys take their red meat. Red meat is a key staple of the era, and the quality of the cut makes a difference. 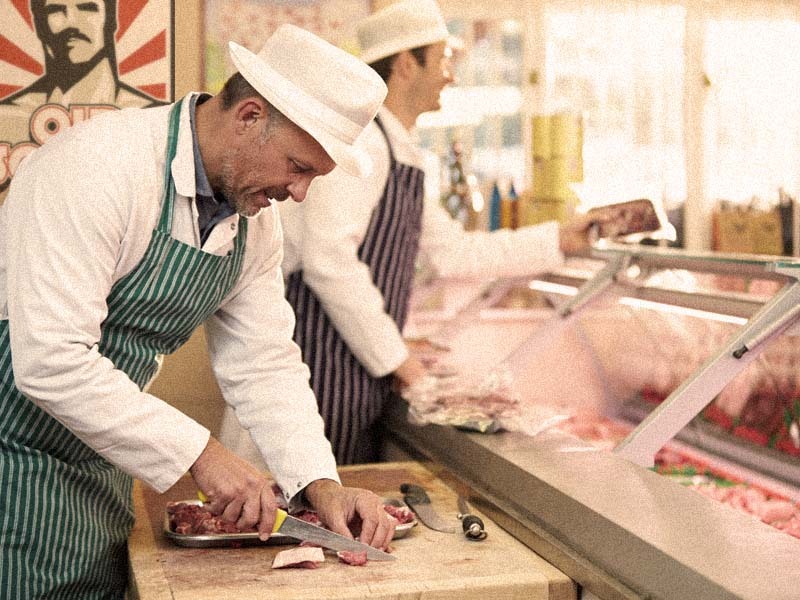 Most of us aren’t on a first-name basis with the local butcher. We buy our meat in supermarkets and other mass retailers, but these days foods are usually labeled in a way that allows you to make the choice that’s right for your diet (lean is always better). Keep in mind, though, it doesn’t always have to be chicken or beef. Even for a warm evening of grilling. Bison meat (many call it buffalo, but you’re eating bison), has gained some traction over the years, and for good reason. It’s a low-fat, high-protein option to beef, and can be more cost-effective. Bison joins other nontraditional options like ostrich and emu, which may or may not be available in your region. If you’re not the adventurous type or don’t eat red meat at all, you can never go wrong with a skinless chicken breast, or perhaps a turkey burger, though ground turkey doesn’t have the protein punch of other options (see chart below). As with non-grilled meats, the choice of what condiments, BBQ sauces, and other extras like cheese that you pile on the meat is up to you, but know that these items can quickly add up in fat and calories, especially when the meat is consumed with a bun. Unless you’re entering “Nathan’s Hot Dog Eating” contest, stay away from hotdogs, which tend to be low in protein and high in nitrates. The bottom line: meat is meat, grilled or not. But how you grill it does make a difference. 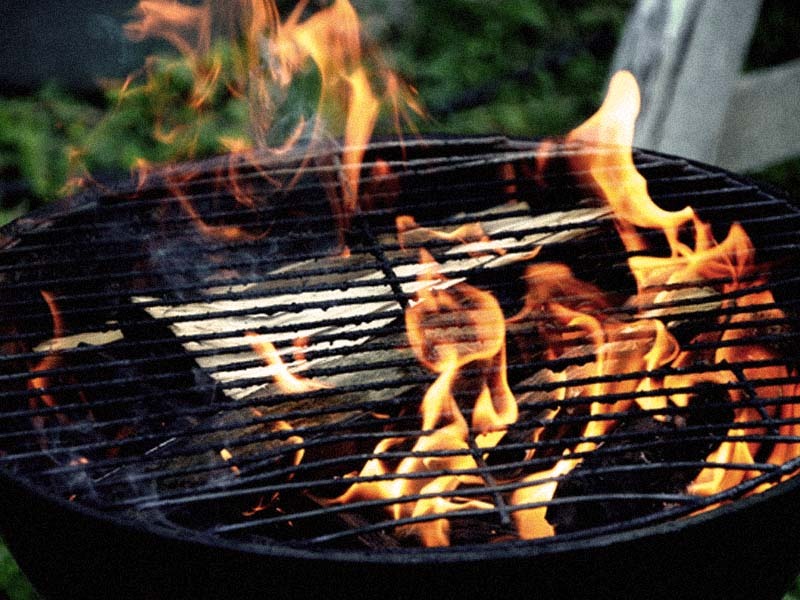 Well-done is one thing, but overcooking meat over flame, or charring, can cause the formation of “polycyclic aromatic hydrocarbons” and “heterocyclic amines.” These harmful chemicals have been linked to certain types of cancers in research studies. To help prevent charring, keep the heat on the grill on the lower side, and try to prevent grilled meats from having direct contact with flames. Also, marinate your meat before cooking, which adds flavor and helps reduce hetrocyclic amines from forming. If you do char your meat, you can just removed the burnt portion and enjoy the rest. You can also avoid charring meat by wrapping it in tinfoil. This is also a handy way to cook fruits, vegetables, and other nutrient-rich foods on your outdoor grill. For those who want more ideas on preparing non-meat foods, check out the book, Grilling Vegan Style: 125 Fired Up Recipes to Turn Every Bite Into a Backyard BBQ, by John Schlimm. In one passage, Schlimm includes a popcorn recipe that explains how you can pop corn straight on the grill. Food safety is important, of course, and you don’t want to undercook your meat either. Make sure the meat is cooked all the way through, and if you aren’t sure if it’s ready, use a food thermometer. If you’re cooking meat that’s been frozen, make sure it’s completely thawed before you throw it on the grill. You also want to avoid cross-contamination of raw meat and already-prepared foods by separating them on different plates. You can add a lot of flavorful spices that may also deliver health benefits, like cayenne, turmeric, ginger, garlic, and black pepper. Marinades with olive oil, herbs, black pepper, and lemon can add a healthy kick to your meat. Remember, marinating your meat before you cook helps cut down on harmful chemicals from charring, so give it a try. When you fire up the grill, it’s usually for a social occasion, where all manner of high-calorie snacks and beverages are plentiful. While you don’t want to overindulge, don’t make yourself miserable by not joining in the fun if the mood strikes. That secret-recipe barbecue sauce that your friend from Texas brought with him may have loads of sugar in it, but if you don’t overdo it, you won’t inflict too much damage to your overall nutrition program. It’s summer. You work out hard most of the year. Have a little fun if it feels right. Life’s a buffet. Go ahead and grill it, and enjoy your summer in style—without sacrificing gains. 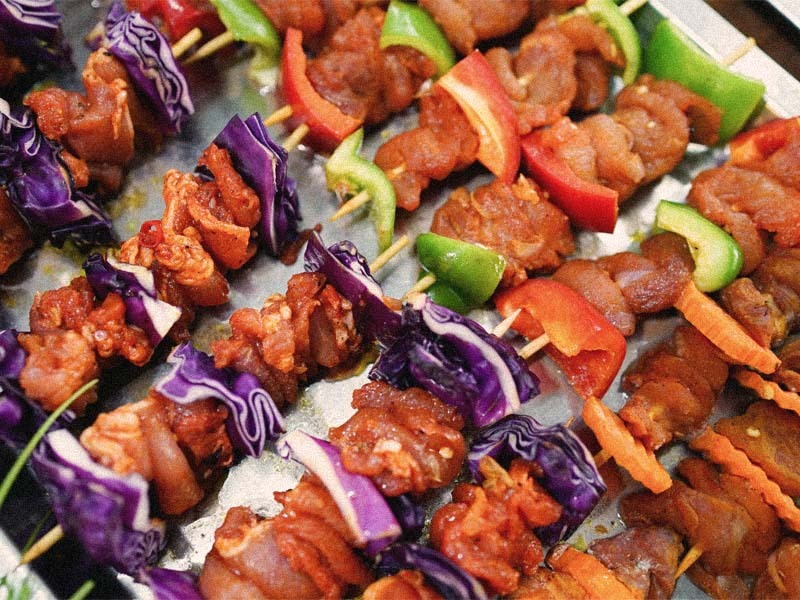 Do you have a favorite healthy grilling recipe? Let us know in the comments below!